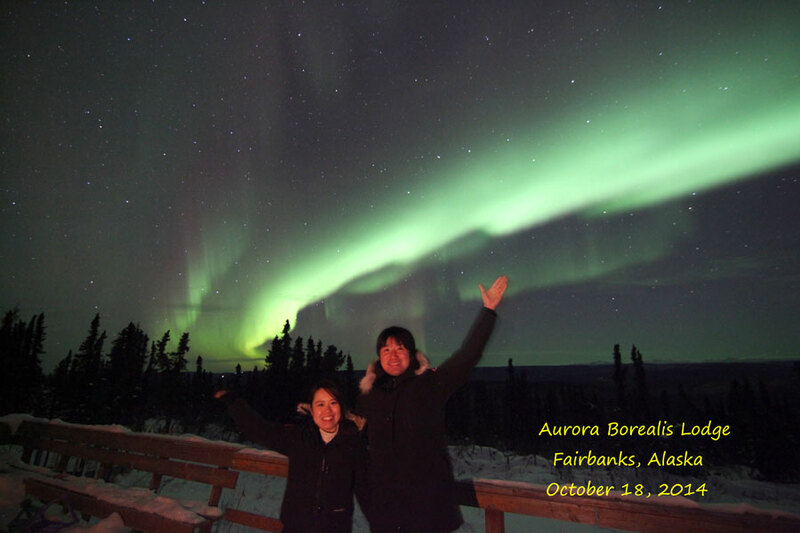 The Aurora Borealis Lodge offers evening aurora tours for guests staying in Fairbanks area hotels. Two types of tours are available. Our tour season runs August 20 – early April. Please note that there are black out dates as well as sold out dates, so reservations are required. We will be closed for all tours (Premier Aurora Tour & Self-Drive Tour) Dec. 8-13, 2016. 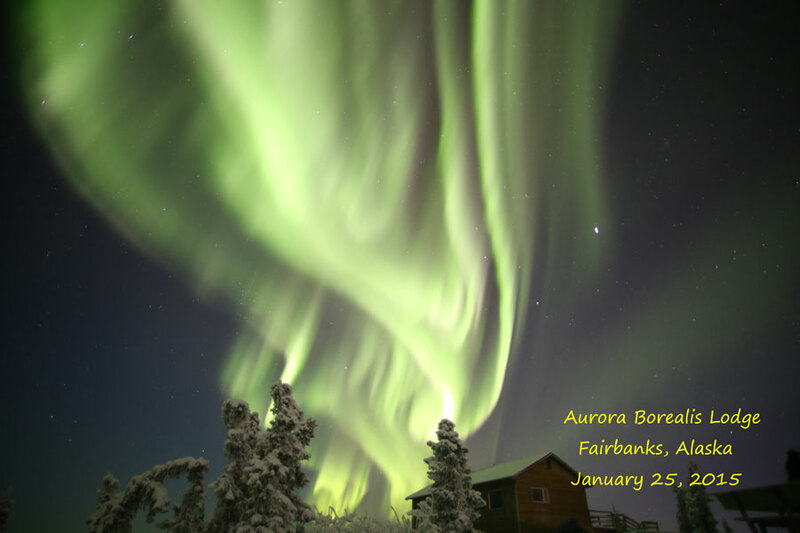 We are sold out for all tours (Premier Aurora Tour & Self-Drive Tour) Dec. 25, 2016 – Jan. 3, 2017. We will pick you up at 10:00pm at your hotel, and bring you up to our main lodge. From 10:30pm to 2:00am, relax in the warmth of the lodge while you check for the aurora out the big northside windows. Once the lights are out, you want to step outside onto the large deck to soak in the view. And if you get cold, just go back in and help yourself to a cup of hot coffee, tea, or cocoa, available self-serve. When available, we can take your photo(s) with the aurora in the background and you can choose the ones you like for purchase. Indoor restrooms. Tour will return you to your hotel around 2:30am. Have a rental car? You can drive yourselves up to our lodge and do the self-drive tour. Lodge hours are 10:30pm to 2:00am. Tour content is the same as the Premier Tour, except for the transportation aspect. Please note that during the winter season (October to April), an AWD/4WD vehicle, or a vehicle with good winter tires are required.